Prime Minister Viktor Orbán declared his simple but ambitious plan: make Hungary one of the best countries in Europe by 2030. During his 2018 Tusványos speech, he outlined the steps needed to make this vision a reality. He focused primarily on connecting Hungary’s transport networks to the neighboring countries, effectively creating a well-connected Central European transportation network. To this end, the government has announced several large railway projects over the years. Hungary Today has researched tirelessly to determine what stage the current projects are in and just how realistic they are. “Our proposal can be summed up by saying that, at last, we should connect our countries together – once and for all, and with serious intent. 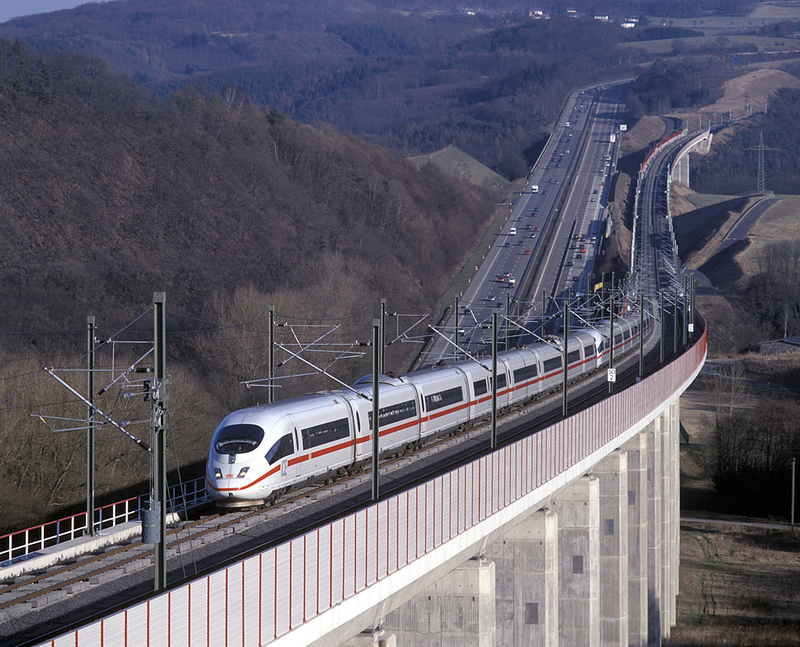 Let us connect our major cities with high-speed rail and road links. It is shameful that there is no such link between Debrecen and Nagyvárad [Oradea], between Kassa [Košice] and Miskolc, between Nyíregyháza and Szatmárnémeti [Satu Mare], between Eszék [Osijek] and Pécs or between Kolozsvár [Cluj-Napoca] and Budapest,” the Prime Minister said last year. Improving the connection between Serbia and Hungary does not just serve the interest of the two countries involved; it is also part of the One Belt, One Road – OBOR initiative. Therefore, the main reason for the development is to enable Chinese goods to reach European markets via the port of Piraeus in Greece. The main cargo transportation route already goes through the line of Kelebia, but the average speed is just 60 km/h. Before the Trianon peace treaty, it was a double-track railway line, but the Allied powers made Hungary demolish one of the tracks. Also, this line suffered the most from the last 30 years of the development policy. Due to the lack of development, the line has been downgraded. In 2011, the Ministry of National Resources said it successfully lobbied the line into the Trans-European transport network. 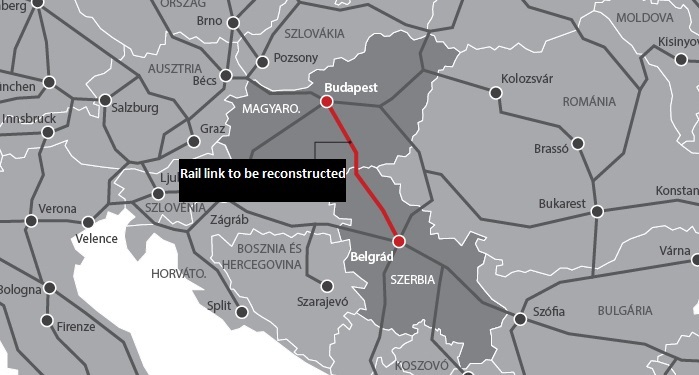 As a result, Hungary has to renovate the line using EU funds. The Commission’s official documents still show that the line needs to be upgraded. The document titled “Core network corridors of the Trans-European transport network (ten-t)” describes the Kelebia-line: studies and works for reconstruction and modernization of the existing line and construction of second track from Novi Sad to the border with Hungary. 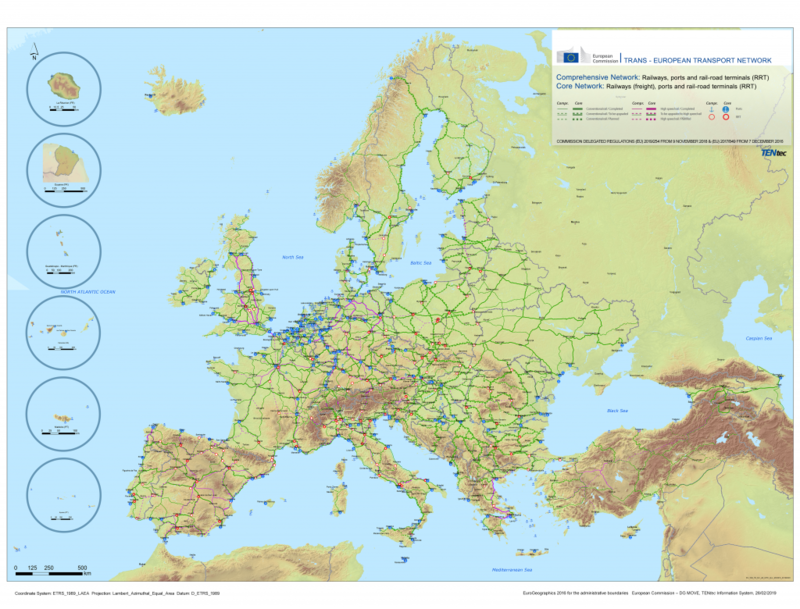 Sources from the Commission claim that the link from Budapest to the Serbian border is not on any Trans-European (TEN-T) Core Network Corridor (neither the Rhine-Danube nor the Orient-East Mediterranean). Nevertheless, it is part of ‘other sections’ of the core network and would be eligible through CEF (depending on the annual call boundaries) for study. The Core network in the Western Balkans is also eligible for Instrument for Pre-Accession Assistance (IPA) funding and benefits from Western Balkan Investment Framework (WBIF) as a blending facility. It is not clear why Hungary and Serbia are seeking resources from China given that EU funds are still available. We asked transportation expert Gergely Andó about the possible reasons behind the Chinese investment. Andó believes there will be just one financial cycle before 2030. And since Brussels seems to have finished the preliminary developments, the chance of pushing the BP-BG reconstruction into the next EU financial cycle is low. Many argue that Chinese investment would not be profitable for Hungary. According to calculations published four years ago by Figyelő, the investment would return in 2400 years. Hungary Today asked Sándor Kusai, Hungary’s former ambassador to China and China-expert, about the project and its possible outcomes. Kusai said the usual calculations are made based on the current size of cargo traffic. However, we can only estimate how the line will increase the degree of the exchanged goods. Kusai highlighted the complexity of the investment’s returns: “If the previous governments would have calculated with the actual traffic, the highways would not have been built in the last 15 years. And without highways, there would not be BMW or Mercedes.” He also explained that this type of transit corridor would increase the trust and investment rate between China and Hungary. Last December, Hungary’s government decided to launch a new public procurement procedure for the upgrade of the Hungarian section of the Budapest-Belgrade railway line. The estimated cost of the project has since increased by about ten percent. The projected cost of upgrading the 152-km section between Budapest and Kelebia on the border with Serbia was 578 billion forints (EUR 1.79bn) in May 2018. The best offer made since then has been 693 billion forints. As the government is unwilling to shoulder an overshoot, it has launched a new public procurement procedure. Gergely Andó told Hungary Today that a new tender could alter the original track. According to the transportation expert, unofficial information has circulated about the line changing from Soroksár-Kelebia to Cegléd-Szeged-Szabadka. This line could be more cost efficient: it is slightly longer, and some parts of it have already been renovated. According to Andó, choosing this line automatically means a 30 percent reduction in cost. 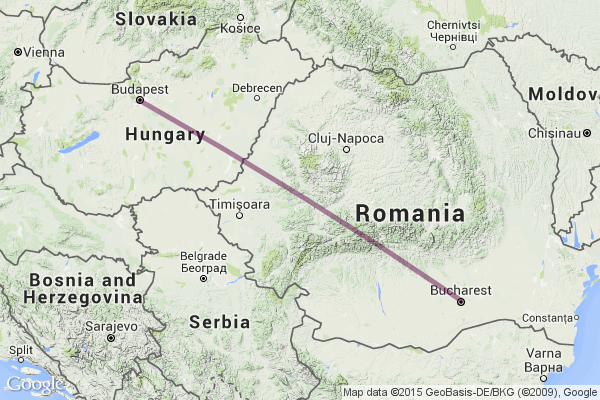 The first rumors claimed that Hungary dropped the Budapest-Belgrade plan in order to focus on Transylvania. Information in the press suggested the project was also funded by Chinese loans. When asked why this line would rely on Chinese investment, Andó explained that everyone has hopes greater than what is possible. The Union has its own financial structure, goals and corridors towards Romania, but the country requires more investment than the Union’s development strategy can provide before 2030.
connecting Budapest, Bratislava, Brno and Warsaw, the Hungarian foreign minister revealed following talks in northern Slovakia last year. The study alone will cost 1,5 HUF (5 million EUR). The final bill has the potential of reaching 1100 billion HUF, which seems like a huge sum in comparison to the overall railway development budget (just 1500 billion HUF until 2022). EU funds cannot be used for the construction due to uncertain economic payback. Hungarian transport specialists have also expressed doubt about the project’s profitability. In a statement, Városi és Elővárosi Közlekedésért Egyesület (Urban and Suburban Transit Association) emphasized the importance of improving the transportation routes from the North to the South, not just the connections between the East and West. However, they are not sure the planned route is the best option. The experts of the association think the two daily airlines satisfy travelers going from Budapest to Warsaw. However, this plan seems to be more realistic because it fits into Europe’s development plan. The press often writes about these plans, focusing primarily on the politics behind them. The projects often lack agreement which leads to significant delays. Both experts agree that the railroad development projects take a long time, perhaps even decades from design to implementation. Therefore, nothing extraordinary happened when the government launched a new public procurement procedure. Budapest-Belgrade would be the first big infrastructural development by China within the Union. It could use it as a reference for outsourcing its building capacities to Europe. After all, China builds more kilometers of tracks in one year than the Hungarian system as a whole. It easily has the capacity to make such investments. Who will win in the long run? The listed plans, though ambitious, only include one correction in the past 100 years of railroad politics. In various countries, it is observable with the passage of time that trains are slowing down. In other words, trains are slower today than they were 30 or 40 years ago. Moreover, it is an enormous problem that because of the political events of the past century, the rail-systems could not connect to one another. Central Europe is at a crossroads today; either it takes from EU sources, which are typically slow and inflexible, or it seeks foreign funding. Member states must visit Brussels at least three times before even starting a railroad development program. In comparison, the Chinese route seems to be much simpler and faster. Given that Central European countries suffer from a dwindling workforce and a lack of capacity, the fact that China would take on the actual construction of the rail is another compelling benefit. However, the Chinese solution also has its drawbacks. Until now, the Asian country has only attempted to help in infrastructural projects in Poland, which turned out to be an enormous failure. It is unknown whether the Chinese side has learned from its mistakes and discovered the pitfalls of investing in a country in the EU. The risk of a Chinese debt trap hangs over this project much in the same way. The truth of Chinese mega investments in developing countries is that, at the end of the day, China gets the most out of the deal either way.